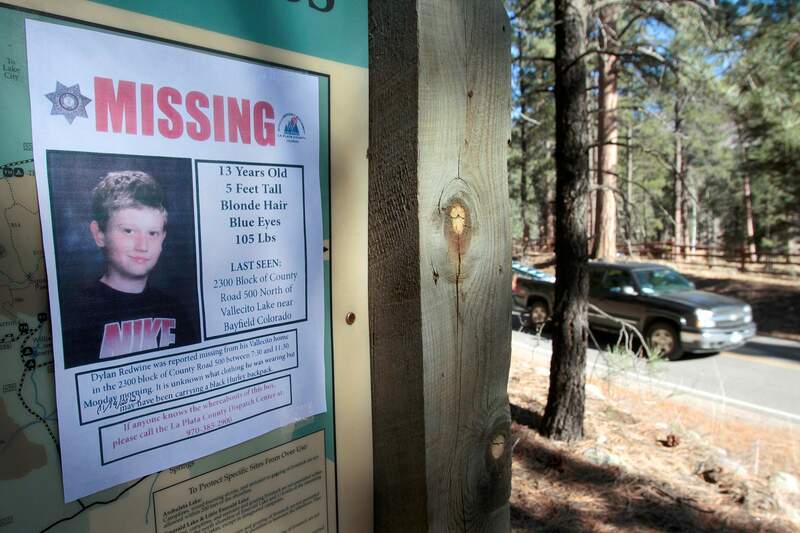 A poster for 13-year-old Dylan Redwine hangs at a trailhead near Vallecito Reservoir shortly after the boy’s disappearance in November 2012. Dylan is one of eight cold cases from La Plata County documented on a Colorado Bureau of Investigation website. The Colorado Bureau of Investigation has relaunched its cold cases website with an updated photo carousel, expanded narratives, an improved search feature and the ability to view recently solved cases. “One of our primary goals in improving the website is to offer visitors robust information to potentially trigger memories or additional information to aid detectives in cold-case investigations across Colorado,” said Audrey Simkins, cold-case analyst with the CBI, in a news release. The database has 1,577 cold cases, including six unsolved cases in Durango and two in La Plata County. All open cases in Durango happened between 1972 and 1985 and have been classified as a homicides. Victims include, Daniel Fiorini, whose body was found April 30, 1976, along the Animas River; Joe Felix Manzanes, who died July 27, 1972; Dennis Power Steele, who died Dec. 5, 1978; Irva Steele, who died Nov. 12, 1977; and David M. Tyler, who died Nov. 19, 1985. Cold cases listed under the La Plata County Sheriff’s Office include Prestlie Dean Hall, who went missing sometime around June 16, 1988, after being observed as depressed and having talked of suicide. The other victim is 13-year-old Dylan Redwine, who was first reported missing Nov. 19, 2012, after disappearing from his father’s home near Vallecito. The case is considered a homicide. The website was initially created in 2010, and the updated site was released Sept. 25 in conjunction with the eighth annual Day of Remembrance for Murder Victims. Cases include unsolved homicides, long-term missing people and unidentified remains. Investigators for the Durango Police Department use the CBI website, as well as other websites, when looking for information about cases, said Durango Chief of Police Jim Spratlen. Visit www.colorado.gov/apps/coldcase/index.html to search the database. Anyone with information pertaining to a case is asked to contact the local authorities.